If you have one, an old wardrobe or tripod or something to hang your dress from. If not, you can balance a bar across the shower. I've used a backdrop holder. If you are doing it outside, use a washing line! If you don't have a rail, you'll have to ask someone else to hold up the hanger, or lie the dress over the side of the bowl. If you are going to lie the dress down, be extra careful to make sure the dye tide-marks are even on both sides of the dress. 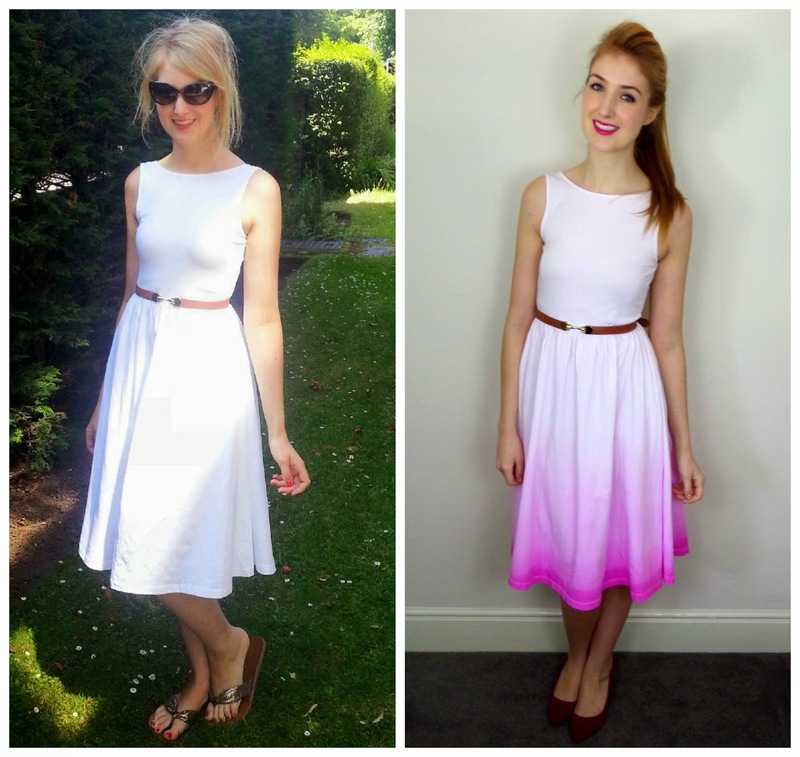 How to dip dye your dress! 1. Decide what you're going to dye. I was really torn between dying the shoulders dark and getting ligher towards the waist, but I decided to go with the classic dip dye. Make sure your dress is clean, and dampen it in warm water. I made mine quite wet to encourage the dye to spread out. 2. Put 6L of warm water into your washing up bowl and put in 250g of salt. Stir until it's all dissolved and place in the bath. 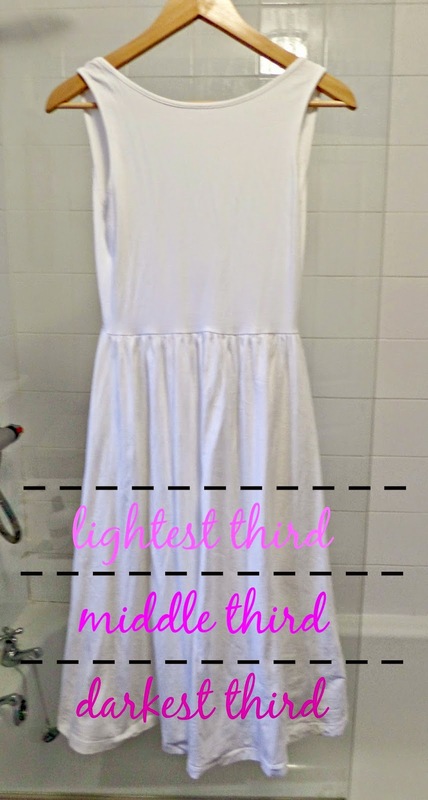 Set your hanging rail up over the top, ensuring it is the right height that allows a tiny bit of hem to remain in the liquid when the dress is hung up. I did it all over the bath, but if you can cope with the cold, you could do it outside to reduce mess clear up! If you are using a plastic or enamel bath, make sure you wipe up all spills ASAP. 3. In a jug, measure out 500ml of warm water, and pour the packet of dye in. Mix it really well, and then pour 1/3 of the mixture into the salty water. Use a wipe to wipe up any drips from the side of the bowl - this is very important to avoid unexpected colour blobs on the white part of the dress if you are resting your dress over the side. 4. Then you're ready for the first level dip! With your dress on a clippy hanger, slowly lower the dress into the dye up to the point you want the dye to end and pull it out straight away. 5. Now this is the part where I panicked! 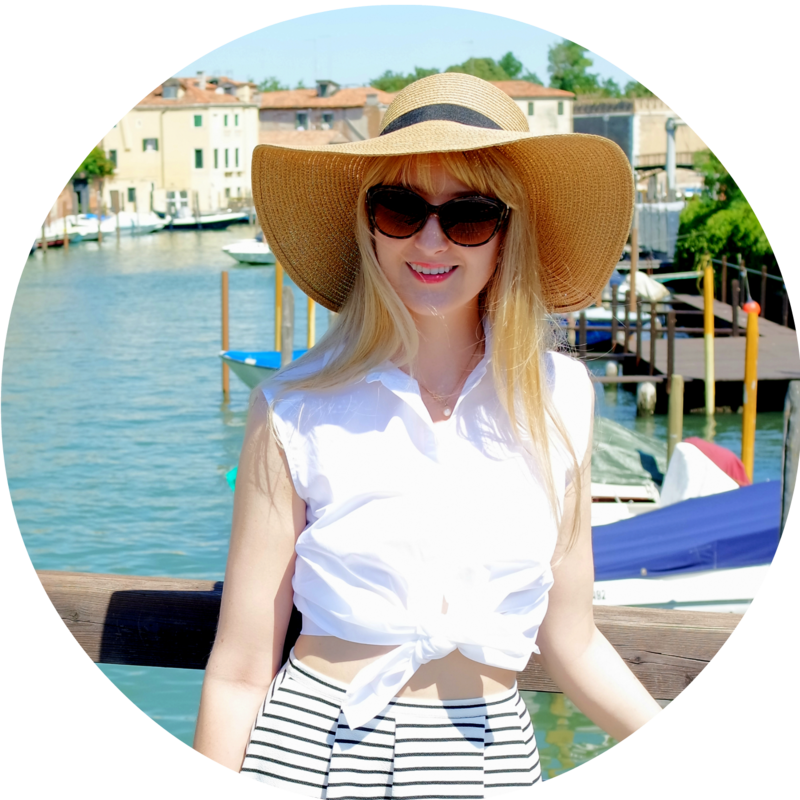 The DIY post I was following for ideas from A Pair and A Spare said just lightly dip in different concentrations, but her skirt didn't come out stripy! As you can see my dress has a big, dark pink line! PANIC! Then inspiration hit me and I grabbed the spray bottle I had from IKEA and filled it with water. I used this to spray the line between the dye and the white fabric to really saturate the fabric and help the dye diffuse. 6. Add another 1/3 of dye to the solution and dip another 1/3 of the dress into the liquid, leaving the hem to soak in the dye. This time, fill 1/3 of your spray bottle with the dye solution from your tub and top up with water. Use this spray to help the two stripes of dye blend. You can spray from far away to help blur the initial white/pink line, and closer up to blend the second stripe. 7. Finally, add all the dye in, give it a good stir and dip the last 1/3 of the dress hem into the liquid, hang up and leave with the very hem in the dye. Fill up your spray bottle with 100% dye and use that to blur the last dye line. If your dress/skirt has a lot of fabric like this one, it might form folds. Make sure you stretch apart all the folds and ensure the dye is even all over. Spray any patches. 8. After all this, pull out your dress, make sure all the lines are blurred to your liking and hang up over another bowl if you have one. 9. Pour away the dye liquid through a metal sink or outside drain and give your bath a really good clean. You don't want it staining. I also forgot to move the white bathmat and dripped on it. It's currently in the washing machine and I have my fingers crossed. Bleach will be your friend if you find the dye is stubborn in the bath. Leave you dress hanging for half an hour whilst you have a cup of tea and sit down, and then rinse in cold water to get excess dye out. 10. Put your dress in the washing machine and wash on a normal 30 degree wash. Some of the dye will fade out because you haven't had it in the dye for the recommended 45 minutes (because we don't want an all over bright pink dress!) Dry and then you're ready to wear it! Make sure you wash it with similar colours the first couple of washes. Overall for £3.25 for a packet of dye and 99p for some salt, it's really tempting to go through my wardrobe dying everything I don't wear anymore! I'm also threatening to do Sam's tshirts which he is not happy about.